With up to 300 feet of wireless range, you don’t have to stop to take that call. 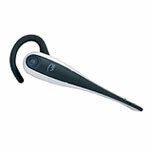 The V100 wireless headset system provides you the freedom to get more done. Drop off a file, fax a document, and confer with a co-worker - all while juggling calls up to 300 feet away from your desk phone. With up to 10 hours of continuous talk time, you are free to roam anywhere in the office, and never miss a call. The V100 headset with its noise-canceling microphone provides crystal-clear phone conversations, even in the busiest of office environments. You control both transmit and receive volume at the touch of a button. 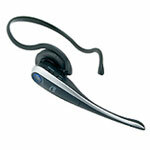 Headset mute, call waiting and the ability to conference up to two headsets on one base station, help you work better. Designed for all-day wearing comfort, the V100 comes in three different styles to best fit your office environment and preference: over-the-ear, over-the-head and behind-the-neck. The V100 operates on the 1.9 GHz radio frequency band which provides improved range without the need to boost the power. 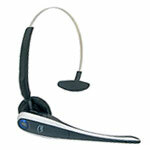 DECT 6.0 technology is superior to other wireless technologies, providing improved voice quality and sound. Talk anywhere without interference from WiFi or other wireless networks. 1 Headset - 3 Wearing Styles! 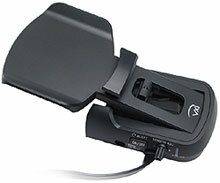 A guide to help you set-up the VXi V100 wireless headset system with your telephone. Click here for the V100 Online Set-Up Guide. 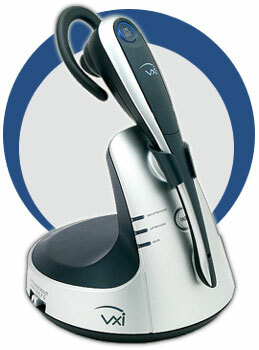 Add the L50 to your VXi wireless system and you’re free to answer calls away from your desk. When you hear the ring tone in your headset indicating an incoming call, simply touch the headset answer button and the L50 handset lifter takes the phone off the hook automatically and connects the call. When you’re done, touching the headset answer button ends the call.